Mouthwatering starter. Super love it. Super perfect.. What a color !!! Congratulations on your 350th post dear. Expecting more and more posts from you. 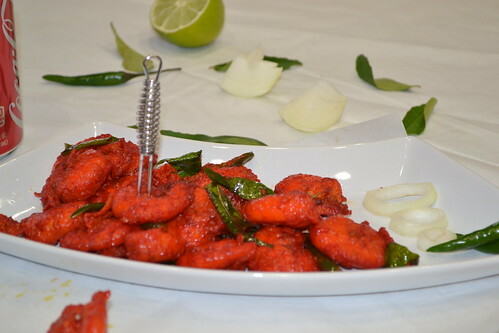 Prawns look tempting and yummy..my favorite. 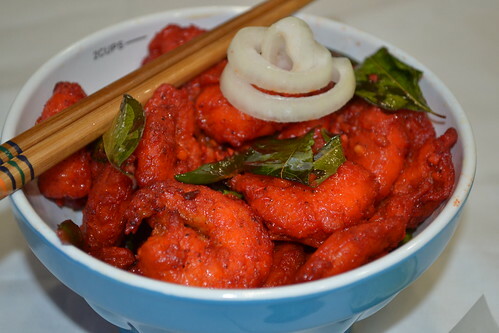 Congrats on your 350 Post, Prawn 65 looks really yumm. 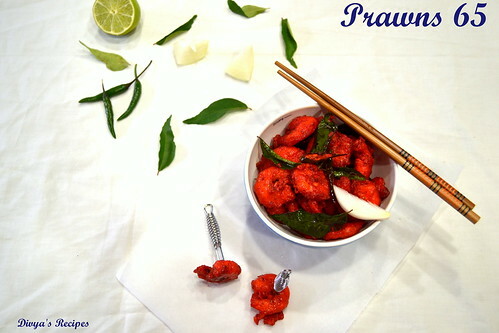 Hi Divya, wow... your prawns dish look awesome. Your pictures and presentation look beautiful. 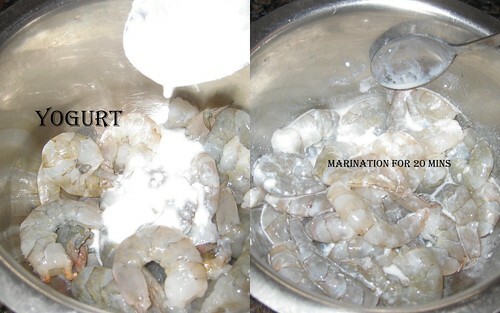 I love prawns, thanks for sharing your interesting recipe. 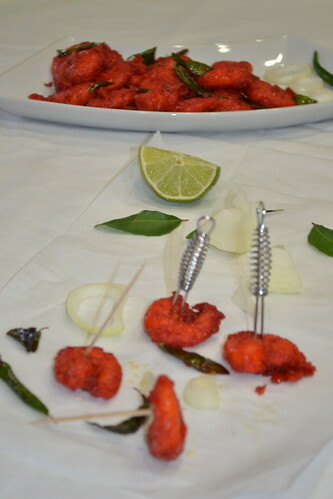 The shrimp looks gorgeous (even to a vegetarian like me). And a huge CONGRATULATIONS on 350 posts! That is quite a milestone. wow..these looks super tempting..i am sure going to try this out...very well expalined dear/..
congrads on ur achievement dear.. Happy blogging Divya! To many more tasty posts! Congratulations Divya on your milestone! 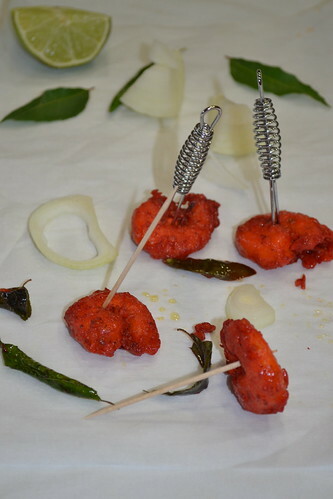 Another mouth watering recipe! 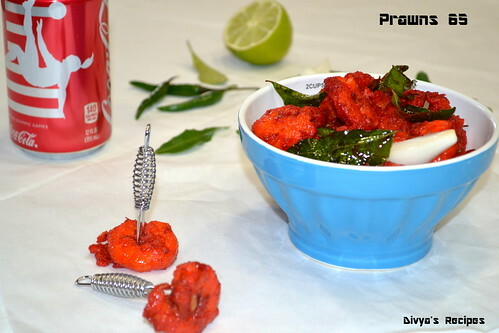 Your blog is full of delicious & tempting recipes, wonderful clicks! 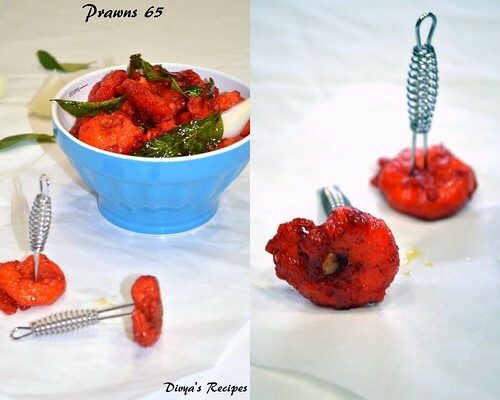 mouthwatering pics,yummy prawns dear..Congrats on your 350th post too!! Shrimp 65 looks inviting.Loved the colour. Fabulous prawn 65. Droolworthy. Perfect step by step presentation dear. 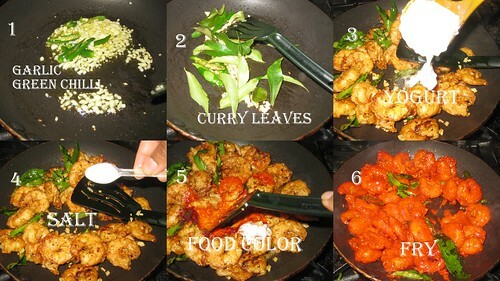 Ohh I loved this recipe! Looks sooo tempting & I loved the bright colour too!! Looks delicious! Drooling over here! I amyour new follower. 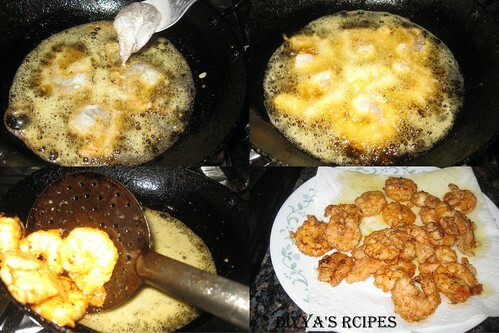 Do visit/follow my blog at - http://www.rita-bose-cooking.com. Congrats on 350th post. By seeing pictures only feels hungry. Neat presentation. Congrats on your milestone! Happy blogging! Congrats dear. 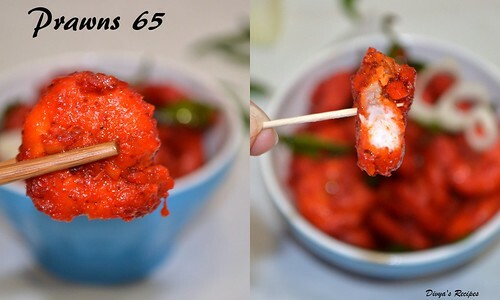 Prawn 65 looks very delicious. Just like a top rated restaurant quality food...yummy! wow! 350 posts!!! way to go Divya! and this recipe is a super keeper. 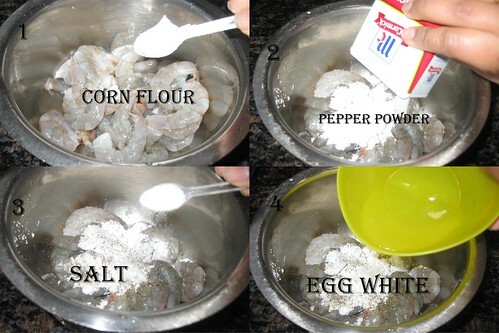 have got a pack of jumbo prawns in my freezer, so definitely am gonna try this version out. thanks for the excellent recipe and tutorial. This look so tempting ! I am Jenny Dsouza by profession Chef in Hotels in Mumbai will definitely give a try..